For those who want to skip the queues and crowds at the big Paris gallery, try our guide to the best little-known museums in Paris. While everyone knows Paris for its huge museums—the Louvre, Orsay, Pompidou, the Grand Palais—some of the best are those out-of-the-way, eclectic little galleries that house some of Paris’s forgotten treasures. Take a wander through our guide to the best little and little-known galleries and museums in the city of culture. 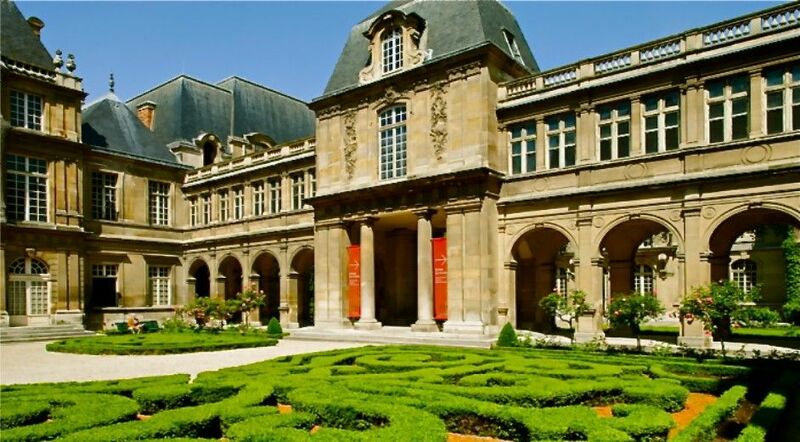 If you want a walk through Paris in one museum, the Musée Carnavalet is the one for you. With 140 rooms organized to chronologically depict the history of Paris, this museum transports you through the ages from pre-Roman Gaul to the modern times. The building itself dates back to 1548, surviving Haussmann’s renovation of Paris because of its stunning interiors. Wander through the beautiful halls and learn the history that transformed Paris into the fascinating city it is today. There are few painters who better capture France than Claude Monet, and, while many museums in Paris feature his works, the Musée Marmottan Monet stands out. Once a hunting pavilion, the building was purchased by Jules Marmottan in 1882, who expanded it and began to acquire works of art. Today, the beautiful mansion houses an extensive collection of Monet’s works, while its location near the Bois de Boulogne gives it a feel of the countryside and makes it a perfect place for a walk. The hilly quarter of Montmartre is inextricably linked to the modern idea of Paris as a city of arts and culture. The museum, dedicated to the history and artists of Montmartre captures the Belle-Époque romance and artistic style of this famous quarter. With lithographs, paintings, sculptures, and documents on display throughout the museum, which is housed in the oldest building in Montmartre, you will feel yourself traveling through time to a place you’d always dreamt of. Paris has always been a city of magic, and, at the quirky Musée de la Magie, you can see it all first-hand. In the heart of old Paris, you can stroll through the history of spectacles, tricks, and charms as well as music boxes and ancient robots. Catch a show or a display of special effects if you’re lucky—it might all just disappear in a puff of smoke. It makes sense that one of the largest collections of Picasso’s works would be displayed in one of the oldest buildings in the city. Always a lover of old houses, Picasso left an enormous number of works which are now the main attraction of this striking museum. Completely renovated for the task of displaying the master’s works, it reopened again in the summer of 2013 and quietly continues to encourage visitors to marvel at the collections of priceless pieces in an equally priceless atmosphere.